Hertz Station Car Program. Hertz has priority. Call ahead to make arrangements. I used the conductive charging station nearest the Hertz booth. Because I was there on the weekend, there was no one at the Hertz booth to talk to. 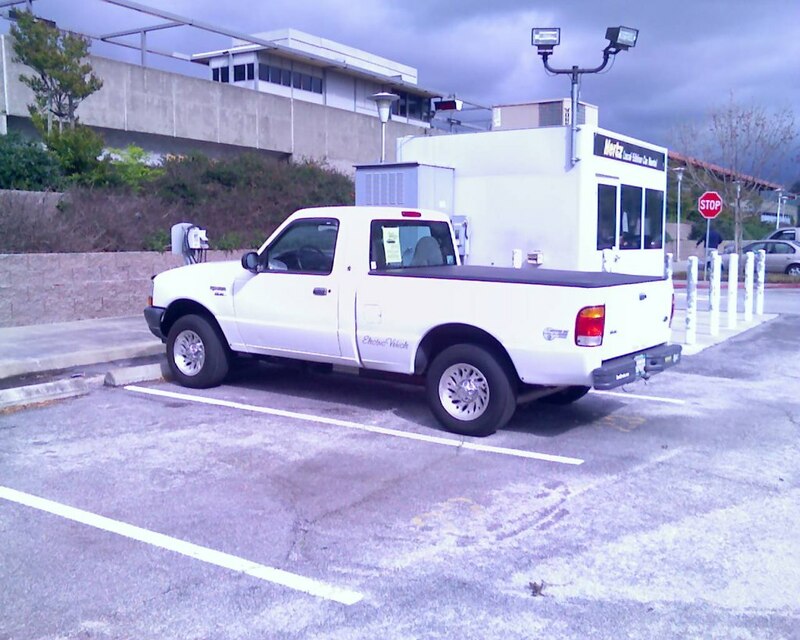 A BART policeman was parked there when I brought the Ranger EV in, but he did not comment. 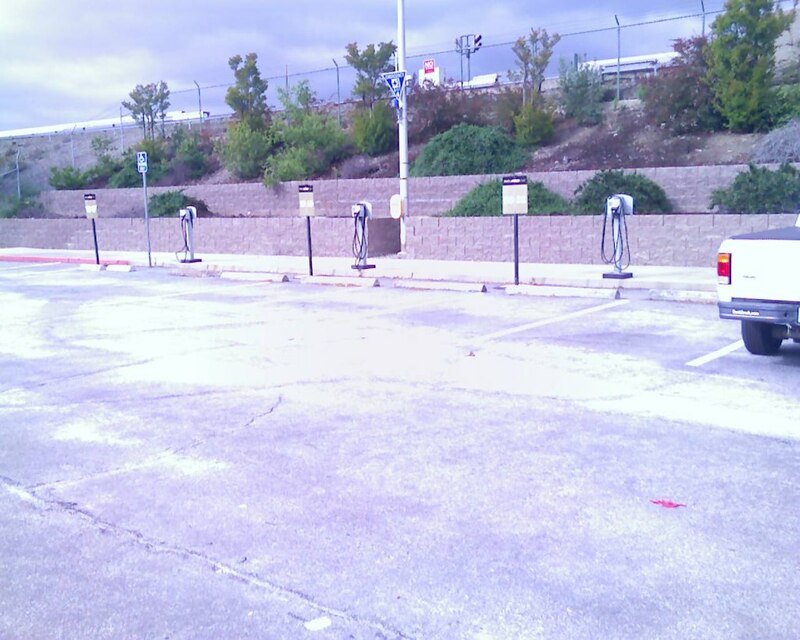 There were very few cars, and no other EVs charging. 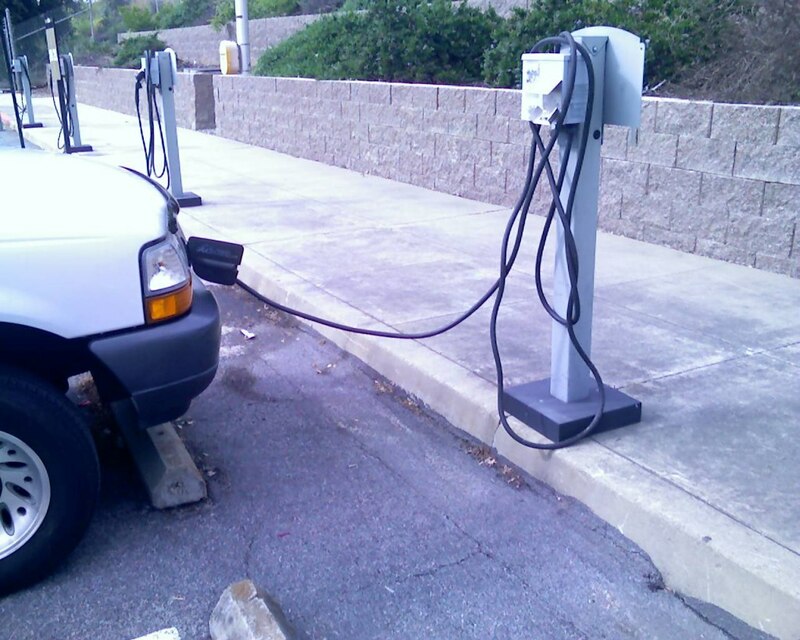 A Ford Th!nk was parked near a charger but not plugged in. The chargers are at the Hertz Local Edition Rental Car station, on the west side of the Fremont BART station, very close the the fare gates. Hertz/Th!nk rental booth, northwest corner of parking lot. Generated on Sunday, 1/30/2011, at 10:44:52 PM PT from evcnall.fp7. 4/22/2007: Added "I Was There" report. 9/10/03: Editing change to comments. 9/1/03: Added comments, updated location on site. 10/25/02: Added per Ed Thorpe 10/17/02.